TAF Aerial provides Aerial Pipeline Patrol services for many oil and gas companies. We patrol thousands of miles a year using highly qualified staff. All pilots hired are FAA commercially rated with over 1500 hours of patrol experience, they are operator qualified to each company’s specifications, and they comply with DOT Drug and Alcohol testing. 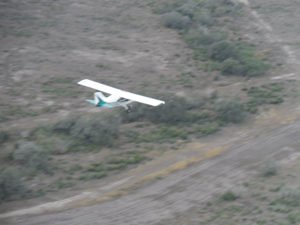 Our entire fleet consists of Maule High-Wing 4 place observation specific planes that are maintained to a high level.